I like having snacks in the RV. Whether it's watching a movie, staring out the window at the great outdoors or simply reading a book or two, having a small snack and perhaps a drink is one of the wonderful things about RV'ing. Sure, you can have a snack in a "regular" car, but certainly not at a comfortable table or on a full sized couch! How about with a fresh brewed cup of coffee? Or Tea? I really enjoy a hot cup of coffee and a snack while listening and watching really bad weather through the RV windows. The sound of rain on the roof is especially relaxing. Having a warm cup and a snack in warm and cozy surroundings is priceless. I even have a "fireplace." Every day that I get the opportunity to utilize my RV, I find more and more small things to like. After a while (a SHORT while) they add up. I don't know any better way to enjoy my limited time off. Now, on to the snacks! I was thinking about some of foods I used to enjoy while growing up. Many of them are still available in some form or another. Some aren't. And that's sad. One of my absolute favorites was Nabisco Chocolate Chip Snaps. These came in a red and white box with a cookie on the front that had lines drawn on it to make it look like a cat. They were about the size of a fifty cent piece and delicious! There was also an All Chocolate version of them, but I preferred the Chocolate Chip ones. Most of the time, with enough perseverance, you can find anything online to order. Unfortunately, not this time. While I did find many folks waxing nostalgic about these cookies....there were none to to be had anyplace. They had been discontinued a long time ago. Amazing that I still have an unopened box. Wonder if they are still edible? I'd been searching for a replacement for quite a long time. No such luck. 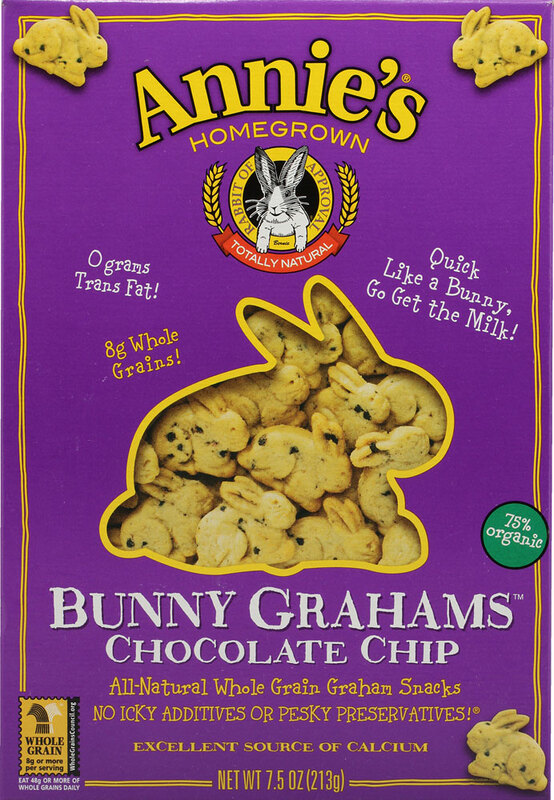 Closest I came in flavor was Annie's Bunny Grahams in Chocolate Chip flavor. Close...but really not the same. 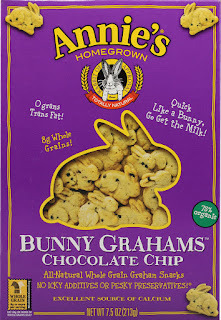 Besides, biting the heads off of cute little bunnies (even if they are cookies!) isn't exactly fun.... That's not to say they aren't excellent...indeed they are great cookies! But, alas, still not the same. Many things we remember from the past are simply no longer available. It isn't just food items. Clothing (though I really don't miss some of the older styles!) restaurant chains, supermarkets, local businesses. All of these, and more have come and gone over the years. Some of them definitely WON'T be missed....but some will. I've seen fan pages of lost and obscure products and shops pop up all over the internet. Many of them remind us of an earlier time in our lives. The lens of distance often makes these memories far rosier than they were at the time. I'm OK with that. The past was great....even when it wasn't so good. Perhaps, like clothing styles, they will come back around. I hope so. Sometimes the past IS better. Maybe it's just change we dislike? I truly enjoy trying new things. I really do. But a look back is OK too. There was a candy bar called "Seven Up" that was divided into seven sections, each with its own different chocolate covered treat. Nuts, jelly, cream, etc. Yum. That was back in the 50's. Don't remember who made it (mainly because I was a little kid and didn't pay attention to such unimportant stuff - ha). Sounds delicious. I like the idea of the variety! Murray Cookies used to make cookies called Looney Tunes which featured the various characters of Bugs Bunny fame. They tasted similar to the old VanChos Girl Scout cookies. Chocolate and Vanilla. Yum! I am sure there are LOTS of products that we'd all like back. I may even remember those! Equal Time For Tea Brewed In The RV! Yet ANOTHER Way To Make Coffee In Your RV!